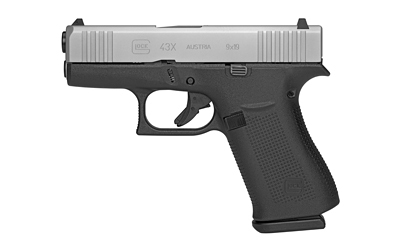 The silver finished slide of the G43X combines its short and slim dimensions to the extended slim frame size of the G48. A perfectly balanced slim fit for nearly all hand sizes with a satisfying magazine capacity and high concealability. The magazine capacity of the slim G43X is 10 rounds and ships with 2.